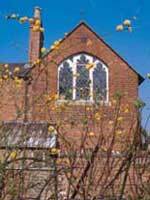 Before the sixteenth century the established church and wealthy individuals provided relief for poor people in Oxford. Individual parishes subsequently set up workhouses to cater for their own paupers, but the scale of the problem in Oxford led in 1772 to the building of a workhouse for all the central parishes where Wellington Square now stands; this held 200 inmates and was administered by a Board of Guardians. By 1848 the workhouse was overcrowded and an industrial school for children, later renamed the Poplars, was opened in Cowley in 1855 to free up some space. A site for a new Oxford workhouse was eventually found on the Cowley Road. This building, for up to 330 inmates, was completed in 1865 where Manzil Way and the Mosque are today. The workhouse was feared by many as conditions were usually harsh and admission carried a great stigma. People admitted to the workhouse were usually old, very poor or ill or a combination of these. There were basic hospital facilities available at the workhouse. The Radcliffe Infirmary, a voluntary hospital, was the only other hospital in the city, but did not accept chronic cases. Oxford had another workhouse serving parishes in East and North Oxford, later known as the Laurels, which was built by the Headington Poor Law Union (established in 1834) in 1858 for 250 inmates. �Residents in the parish had to apply for poor relief from the Headington Poor Law Officers because the area was not then included in Oxford City. 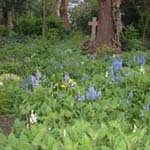 Burial records show that some paupers who died in the Headington workhouse are buried in the Ss Mary & John churchyard. Mr and Mrs Tebbutt were the master and matron of the workhouse in 1867 and listed in Kelly's Street Directory. By 1873, Mr Edwin Cole Stedham was the master and Mrs Lucinda Stedham was the matron. 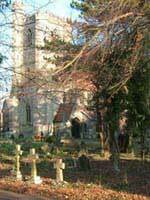 Mrs Stedham died in 1884 and Mr Stedham in 1896 and they are buried in the churchyard (B58). The chaplain of the workhouse in 1873 was Rev William Best who lived at 78 Cowley Road, or 1 Avenue Terrace. According to the 1881 census he had three children, one of them Frank Edward Best who died in 1884 aged 20 years and who is buried with his father in the churchyard (B51). Rev Best was also chaplain to the Cowley Industrial Schools. During the First World War the workhouse became part of the 3rd Southern General Hospital and was used for treating injured military servicemen. 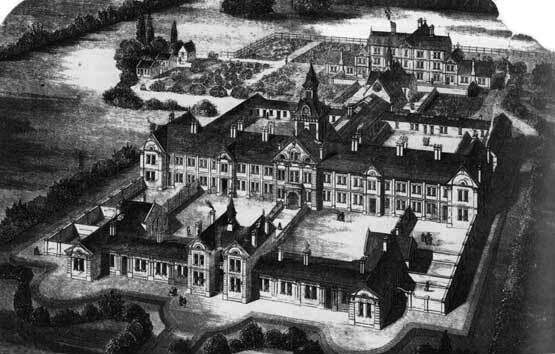 The name of the workhouse was changed to Cowley Road Hospital in 1920. When the Poor Law ended in 1929, the administration of the two workhouses in Oxford, the Cowley Road Hospital and the London Road Hospital, were transferred from the Board of Guardians to the City's Public Assistance Committee. Boundaries for the city were changed in 1929 to include Headington, Cowley and Iffley. In the Second World War Cowley Road Hospital was used as a maternity hospital. 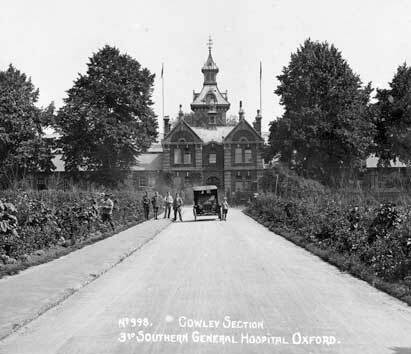 After the inception of the welfare state in 1948, the administration of the Cowley Road Hospital was transferred to the National Health Service. The hospital became a geriatric hospital. One of the pioneers of geriatric medicine, Dr Lionel Cosin, was appointed as medical director at the hospital in 1950. He introduced new treatment programmes for old people such as the Day Hospital and was internationally and nationally well-known. Cosin Close is named after him. Cowley Road Hospital was closed in 1981 and demolished soon after, apart from the chapel which is now incorporated into the Asian Cultural Centre. A housing estate was built on the workhouse site and now also a mosque, a new health centre and various other planned facilities. The 1881 census [and other years' census] lists the inmates of the Oxford and Headington workhouses and shows where they were born. Paupers who died in the Oxford workhouse were probably buried in their 'home' churchyards, including Ss Mary & John, and at Rose Hill Cemetery or Botley Cemetery after they opened in the 1890s. There are few surviving records of the Oxford workhouse but the published Annual Reports of the Guardians include the names of many of the inmates. MA Crowther, The Workhouse System - the history of an English social institution, (London: Batsford Academic and Educational Ltd, 1981). Kathryn Morrison, The Workhouse, A study of poor-law buildings in England, (Swindon: English Heritage, 1999). Susanne Shatford and Trevor Williams, Changing Faces of St Clements and East Oxford, Book One, (Witney: Sutton Publishers, 1997).